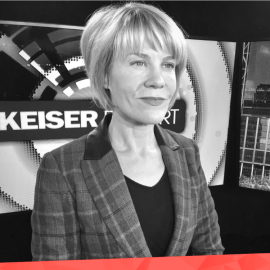 Stacy Herbert is the co-host of Keiser Report and the Co-Founder & CEO of Heisenberg Capital. She has been personally invested in bitcoin since 2011 and as CEO of Heisenberg Capital, continues to look for opportunities in the bitcoin and cryptocurrency market with a focus on second and third layer applications as well as security related startups. Stacy started her career in film and television, working in development for Michael Phillips, the Oscar-winning producer of The Sting, Taxi Driver and Close Encounters and international film distribution with Capitol Films as well as television production with BBC3, BBC World, Aljazeera English and RT.